I have always been fascinated by the creative process. I began my artistic career as a representational water color painter. My subject was nature, focus on water and movement. After a few years, feeling the need for further exploration, I began experimenting with abstraction and using acrylics. My paintings are a response to what I see, feel. I begin a painting with an idea or an emotional reaction, rather than a vision of what it will look like when finished. I choose a color, and with a single gesture on the canvas, a dialogue opens, calling for a response. As with any conversation there are twists and turns. 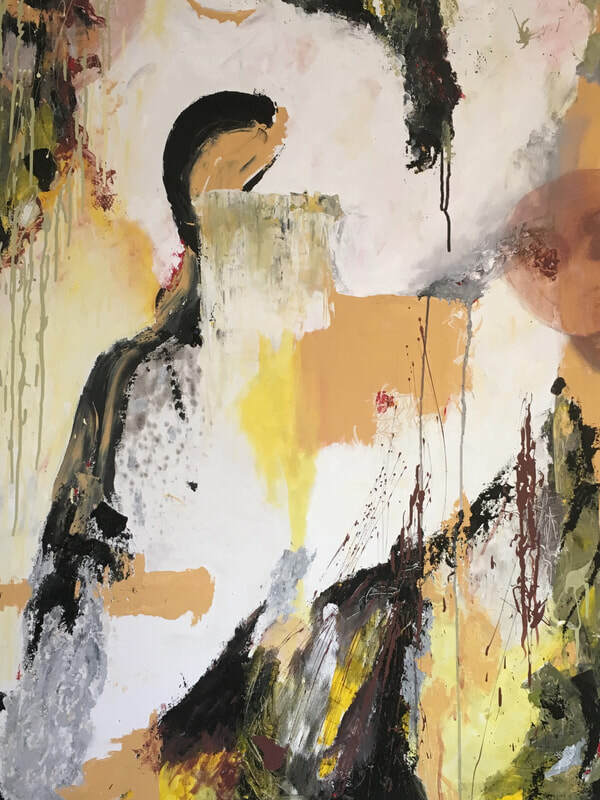 The process involves applying the paint, adding and changing color and texture, sometimes adding sand, mediums, or paint scrapings, applied with brushes, hands, palette knives, rug padding, chop sticks and more. I continue until the painting says "I am done". My paintings are in private collections through out the USA, Great Britain and Israel. I donate paintings to non profit organizations thru The Art Connection, which they hang in their facilities.. My works are shown at Wild Goose Chase in Brookline.